I was there near lunch, the food court was unexpectedly quiet and most of the stalls there has no queue. After walking around, I decided to go with the beef noodle. I only wanted sliced meat with beef balls and it costs $6.50. Though slightly pricier, but this is well-expected when dining in an air-conditioned food court particularly in the central part of Singapore. The portion was quite substantial though just that did not expect those slices of beef were really small and thin that I could hardly taste it. The braising sauce was gooey, rather thick and quite tasty, the bowl of soup that served along was quite flavorful, too. 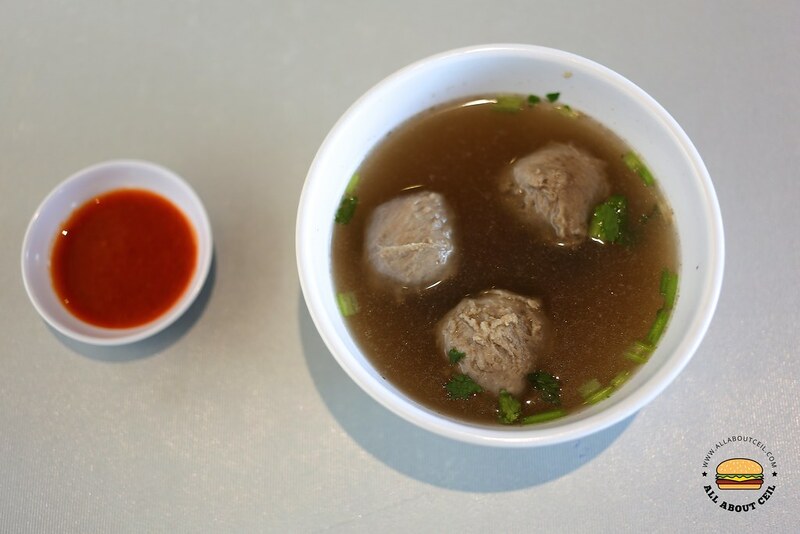 The beef balls in the soup tasted like those of the machine-made and were not too memorable, it was served with salted vegetables. I was recently at Bull Market Noodle Bar in Lucky Plaza, they serve the same set with a drink for the same price and it came with bigger pieces of beef, which is more value for money. Apparently, I am not even sure this is one of the original beef noodle stalls that used to be from Cuppage Centre. It claimed that they have been around for 15 years as indicated on a poster displayed at their stall. 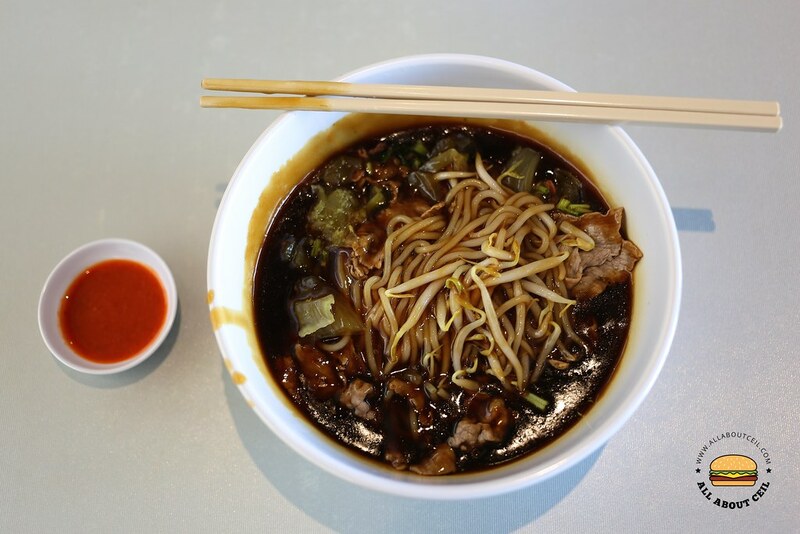 There are 2 of the other stalls that were from there too, one of them is Hai Nan Xing Zhou Beef Noodle at Kim Keat Palm Food Centre at Toa Payoh Lorong 7 and the other is Hong Kee Beef Noodle that is at Amoy Street Food Centre, both are of equally good standard. 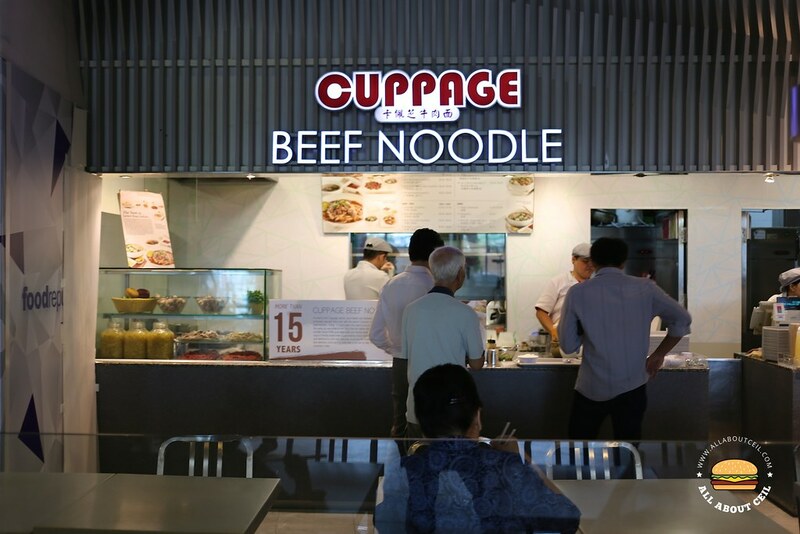 How many Beef Noodle stalls were there at Cuppage Centre? Toa Payoh Hwa Heng Beef Noodles is another noteworthy beef noodle at Bendemeer Food Centre, it usually has a queue and the waiting time is at least 15 minutes or even longer, but it is worth queuing.